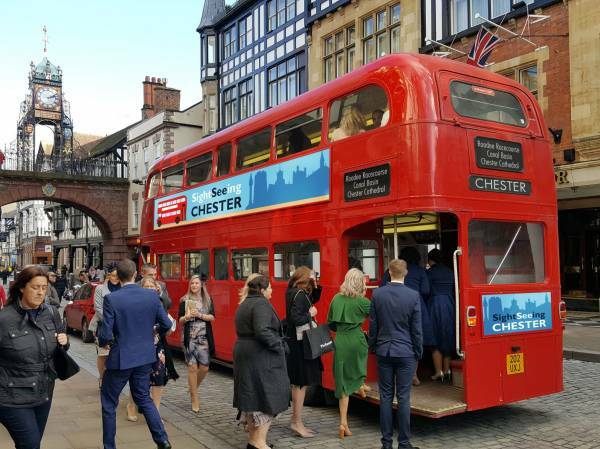 Sightseeing Chester is an authentic London Routemaster Hop-On Hop-Off bus which travels around the historic streets of Chester. Wednesday, Thursday, Friday, Saturday and Sunday. Tours at 10:30 11:15, 12:00, 13:30, 14:15 and 15:00. The tour lasts 35-40 minutes. 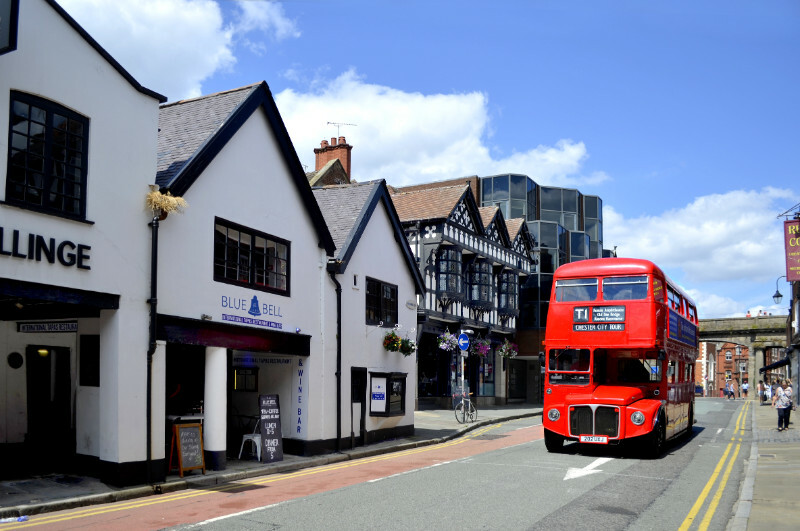 Catch the iconic double-decker red bus at Vicar’s Lane, next to the famous Amphitheatre and opposite St John’s Church, sit back and let the live guide tell you the fascinating history of Chester. The tour is running five days a week, the full loop lasts about forty minutes and includes 10 great stops. It will take you through two thousand years of history, a fantastic journey back in time around the Roman fortress, Deva. 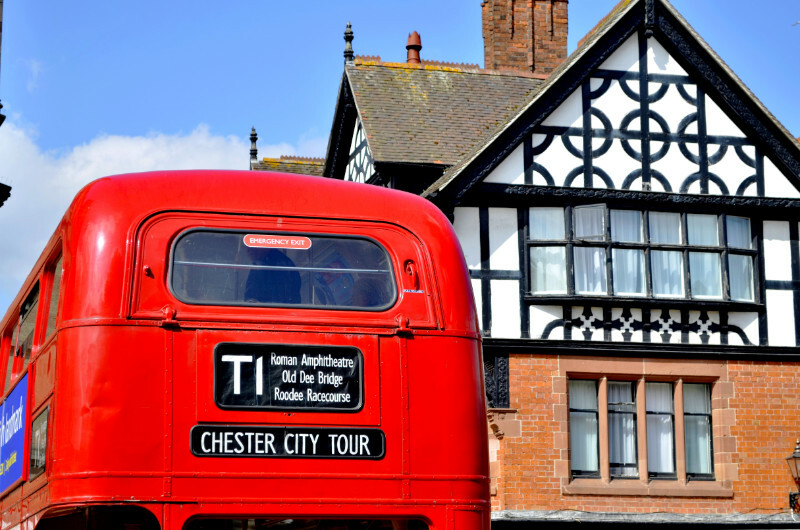 The 10-stop tour has been carefully planned to take you round some of Chester’s key sights. You will start the tour with an impressive view over the Roman Amphitheatre, the largest one in Britain, where gladiator combats stood decades ago. 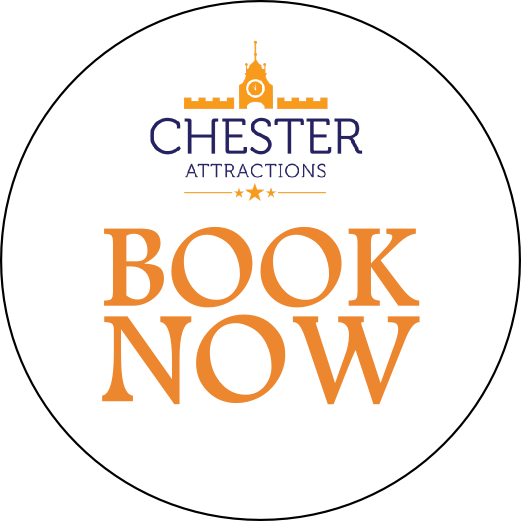 While you pass under the impressive City Walls, which are the longest, oldest and most complete in Chester, the guide will relate you the history of this thriving fortress and bustling port that was Deva. While crossing the picturesque River Dee, you will see another unique feature of the city: The Racecourse. It is known as the shortest and oldest still in use in England. 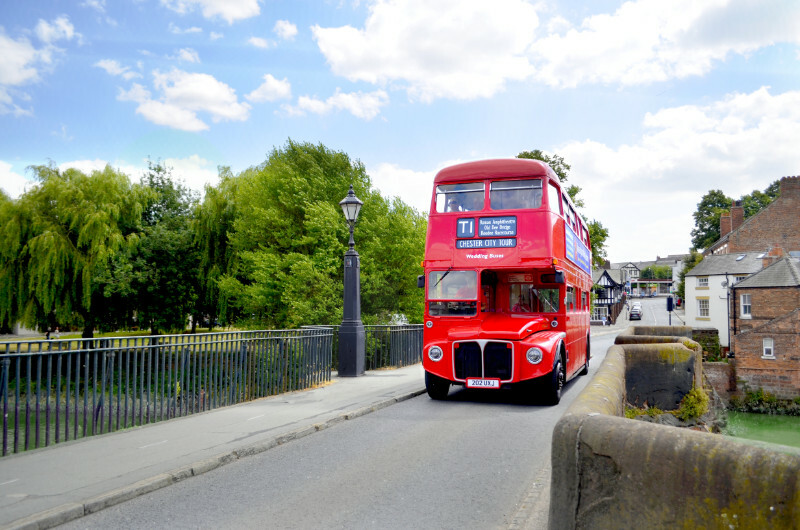 Then, enjoy a smooth ride in the quaint and historical village of Handbridge, surrounded by its Victorian cemetery and charming Georgian cottages. 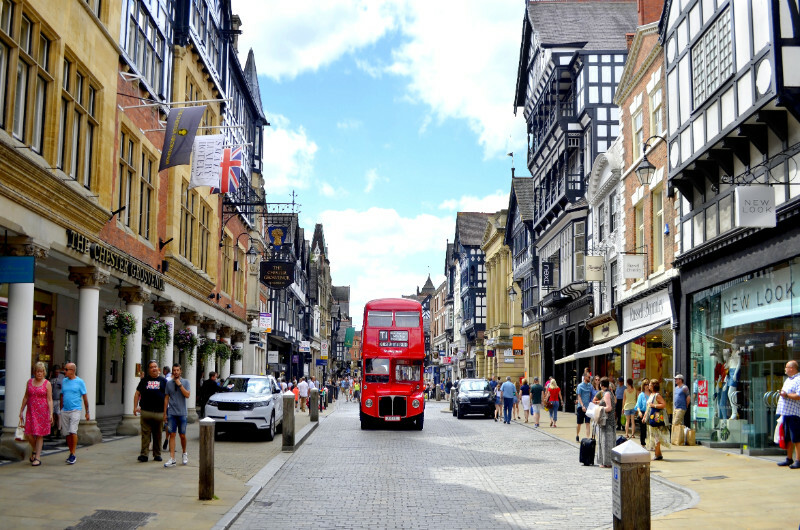 You will take the old Dee Bridge, built in 1387 on the location of a first Roman bridge and going back in the city centre, you will discover the 700-year-old Rows, medieval first-floor shopping galleries, and have a fantastic glimpse into Chester’s architecture. The bus will then go down the western part of the fortress, where a thriving port once stood before the River Dee silted up decades ago, before going by the peaceful canal. Coming back in the centre, you will discover the magnificent Town Hall, which stands in the centre of the Roman fortress. The double-decker red bus will also pass by one of the most famous features of Chester, the Eastgate Clock. 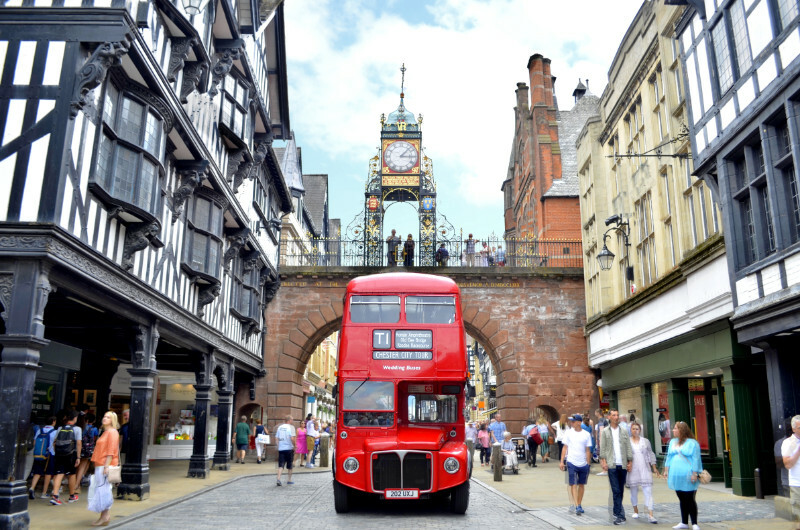 As it is said to be the second most photographed clock in England, make sure to help us keeping this pride and take a picture as well! 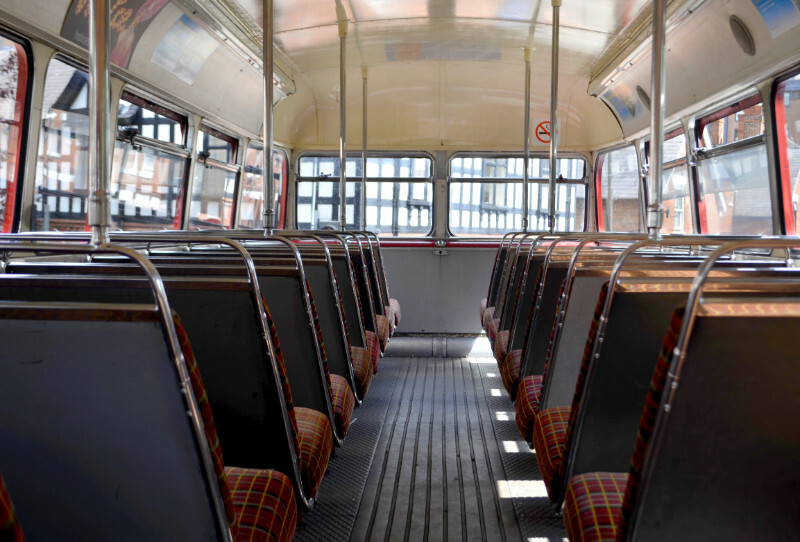 At the end of the tour, the driver will take you back to Vicar’s Lane, letting you in the centre to discover even more places in our beautiful city. 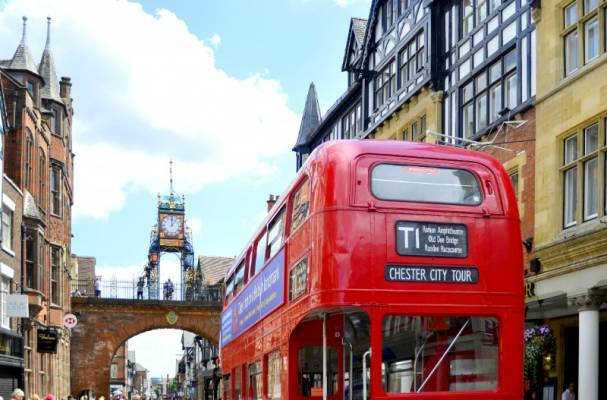 If you are in Chester just for the day or more, by yourself or in family, the Sightseeing Chester Tour is the perfect way to start your stay in Chester as it gives you a great overview of the city and takes you to many places you can visit. The guide will be there to give you plenty of recommendations. 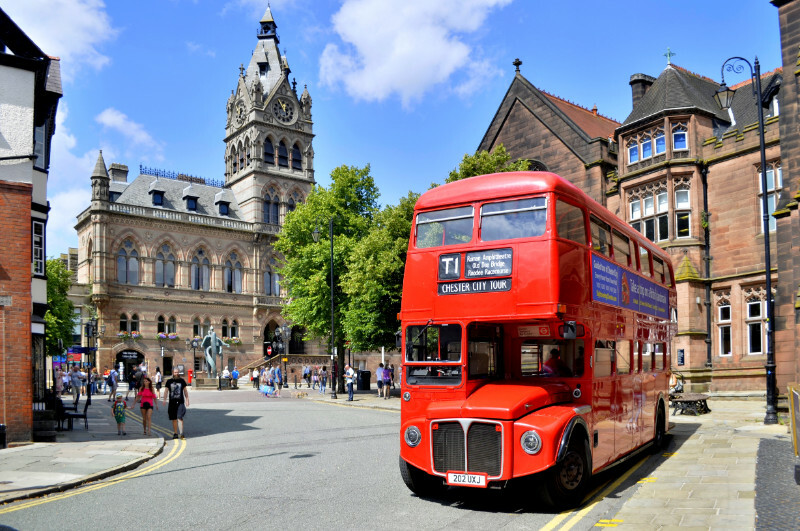 Your bus ticket will be available for two days, giving you plenty of opportunity to hop on and off and explore our wonderful city. We will be happy to see you again! So, step on board our red double decker bus and let your guide telling you all the secrets of fascinating Chester! Ticket available for two days. 10 great stops to hop on and off. Tickets can be purchased either in advance on our website, or directly on board (cash only).